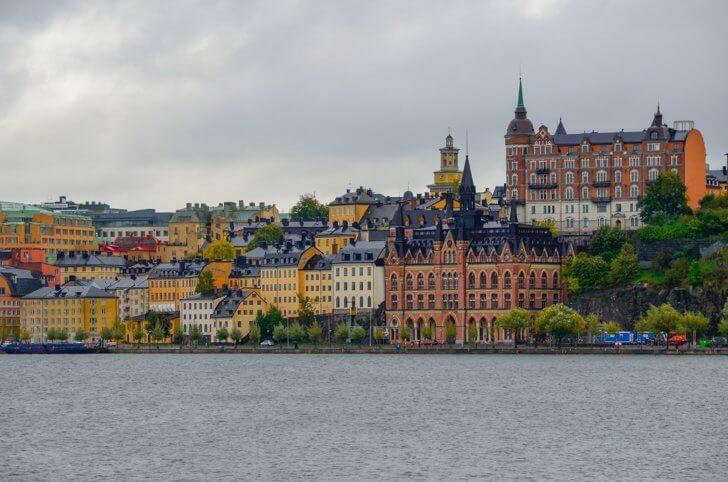 In early October I helped my mom check an item off her bucket list by flying her to Sweden. 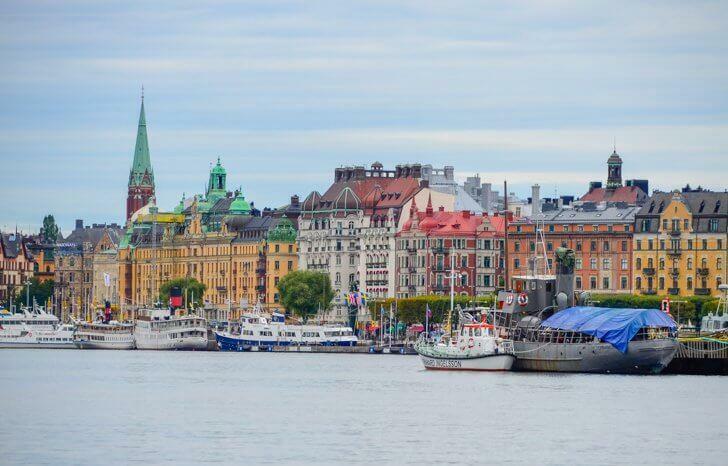 At the same time, I checked off one of mine – visiting Stockholm, the capital of this beautiful country. Traveling offseason around Europe has its perks including lower prices and fewer tourists. However, it can also come with cold, rainy weather; something we found out the hard way. During our two-day stay in Stockholm, we could not escape the wind and the horrible, cold mist. Even having an umbrella didn’t help as the blew in from all directions. 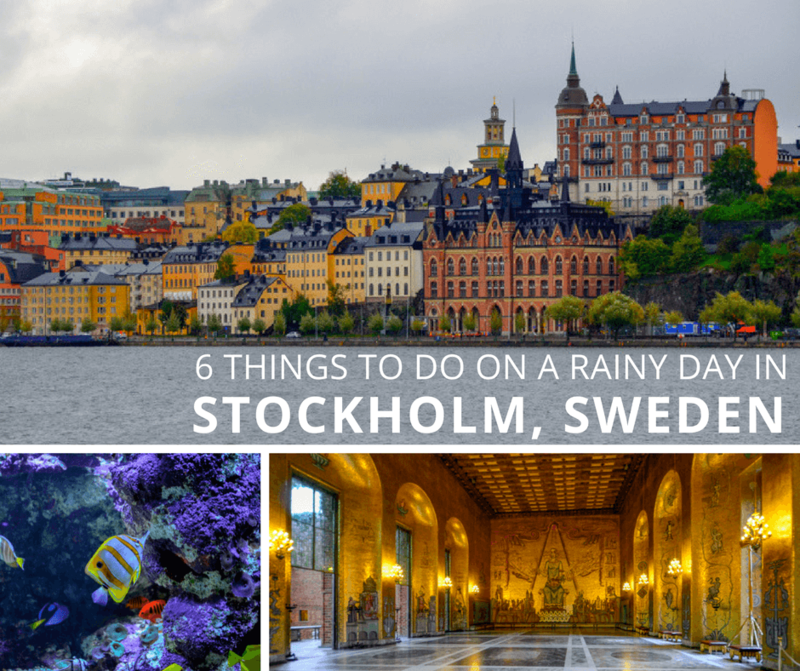 Even in dreary weather, Stockholm offers visitors plenty of things to do. The inclement weather forced us to find things to do in Stockholm indoors, and I would like to share them with you. 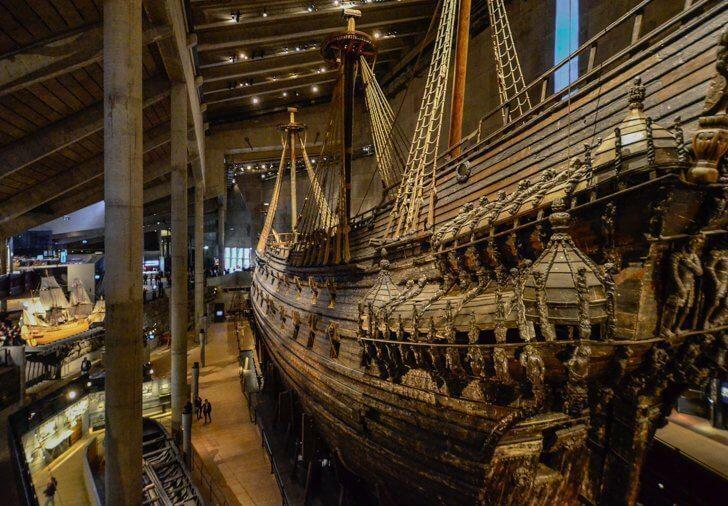 One of my biggest desires was to visit Vasa Museum in Stockholm and see the immense ship bearing the same name, which sunk in the 17th-century and lay hidden underwater for 333 years. Much like the Titanic, the Vasa sank on her maiden voyage due to disastrous design flaws. All but thirty members of the crew survived. Those who went down with the ship were trapped underwater, on the lower decks. In 1956, a large-scale program called the Swedish Apollo Program by some, set off on a complex technical endeavour to salvage the ship which is now one of Sweden’s most popular attractions. 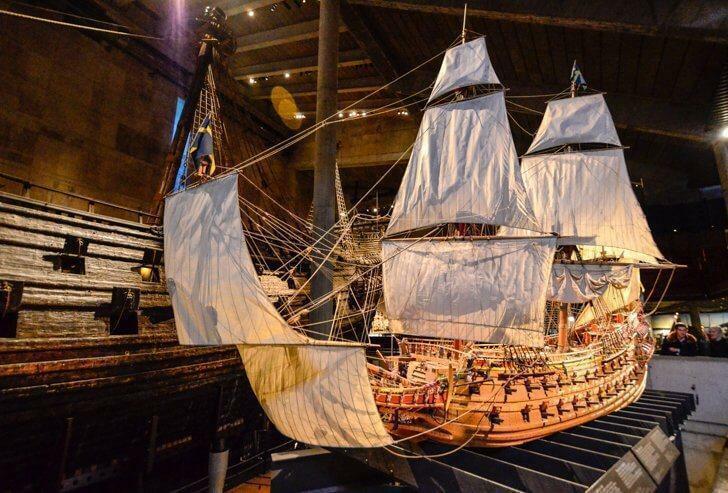 The museum is immense, built entirely around the Vasa to give visitors a chance to view it at 360 degrees. There are several stories and on each one details of the ship are revealed. Admission is 130SEK, or about $15, and kids under 18 are free. Plan to spend a few hours here. All the information is multi-language and free tours in English are also offered throughout the day. Due to the group size, we preferred to roam free. This little museum is quite good, especially if you are visiting Stockholm with kids. The Aquaria Water Museum gives you the opportunity to experience living in the Amazon rainforest beside giant catfish, stingrays, and piranhas. 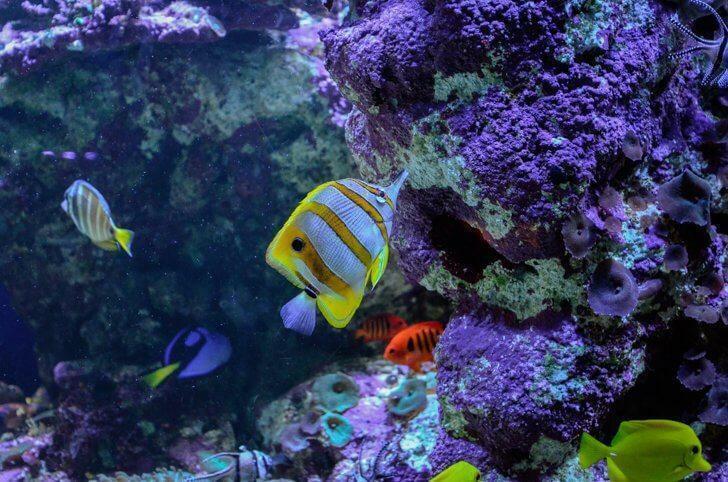 There is also a sea tank housing sharks and a moray eel, as well as corals, crustaceans, anemones, and schools of fish. 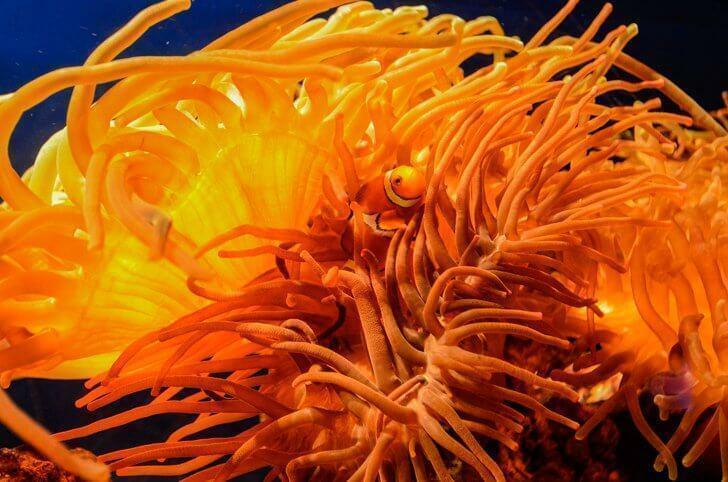 If you’re visiting Stockholm with kids, don’t miss the aquarium. The tree frog collection is fascinating. Be warned; you need to pay close attention as the frogs are tiny and hard to spot even if they are brightly coloured. I especially appreciated that all the info was in English as well. It’s always nice to know what you are looking at. When you finish your tour of the museum, I recommend eating at the café as the food is inexpensive and consists of fresh sandwiches as big as your face. Admission costs 120SEK, or about $14, and children up to 15 years old have a discount. 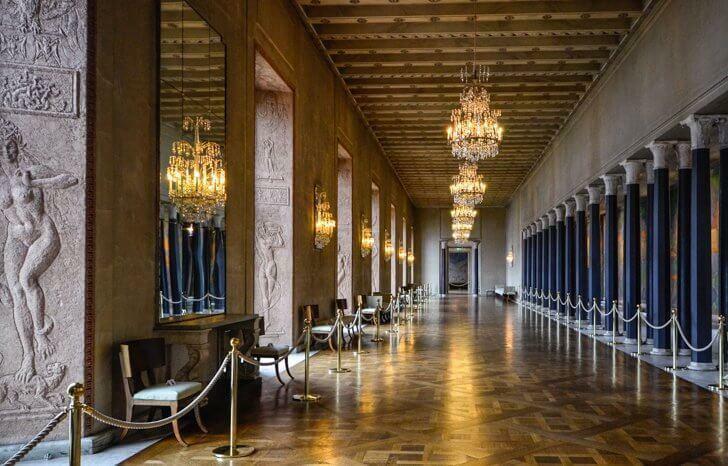 One of the largest palaces in Europe, with over six hundred rooms, the Royal Palace in Stockholm is the official residence of the King of Sweden. 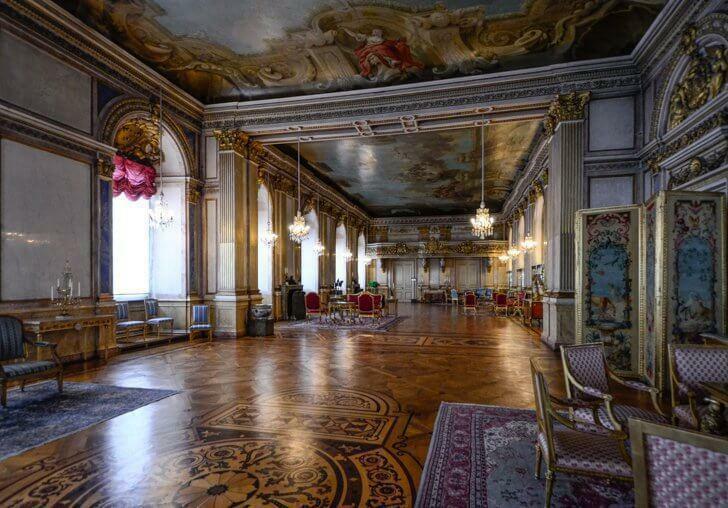 Dating to the 18th-century, the baroque palace, designed by architect Nicodemus Tessin, is shaped like a Roman palace. By the time we arrived at the palace, we were soaking wet and grateful for such an unbelievable shelter. 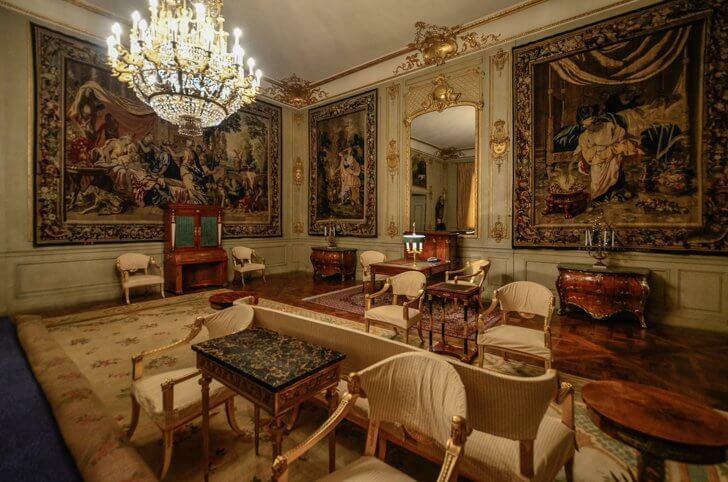 With our ticket, we were able to visit The Royal Apartments, a series of rooms used royal events and receptions. These include the Bernadotte Apartments and the Guest Apartment, the State Apartments, the Hall of State, and the rooms of the Royal Orders. 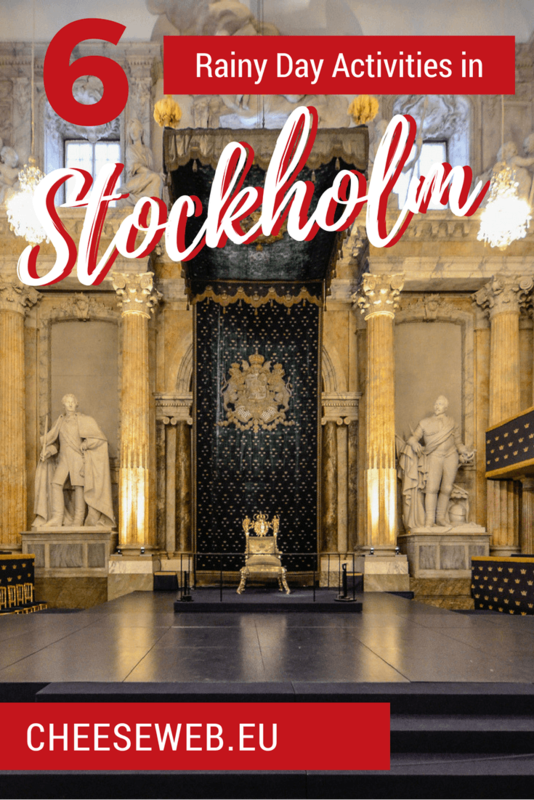 Also, included in the ticket price is the Treasury containing the Swedish royal family’s crown jewels and regalia, as well as the Tre Kronor Palace ruins. The Tre Kronor Palace was destroyed by a fire in 1697. Be prepared to spend a few hours here to tackle the sheer size of the palace. All information is in English. Admission costs 160SEK, or about $19, and children up to 17 years old have a discount. 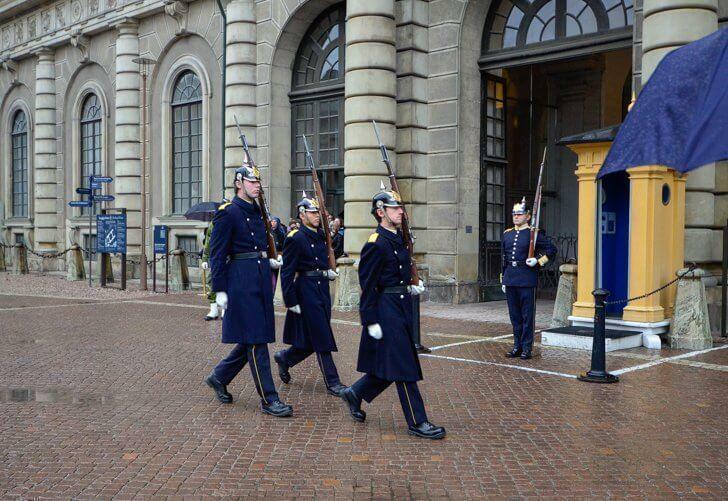 Once we stepped back outside, we were fortunate enough to see the changing of the guard. It starts at 12:15 pm in the palace’s outer courtyard on weekdays, and at 1:15 pm on Sundays. 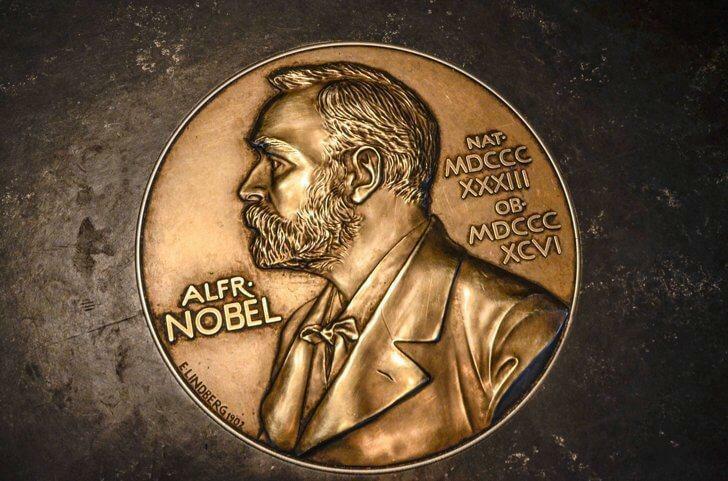 The Nobel Museum teaches visitors about the most prestigious prize in the world, Alfred Nobel and the Nobel Laureates. 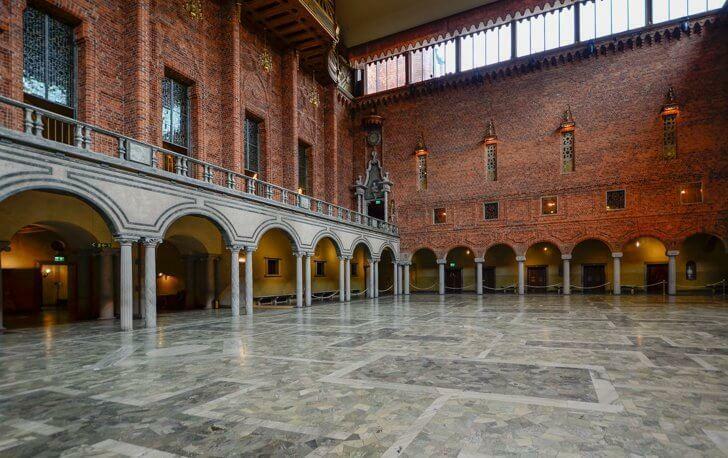 Free guided tours, films, and diverse objects take you from idea to the Nobel Banquet. 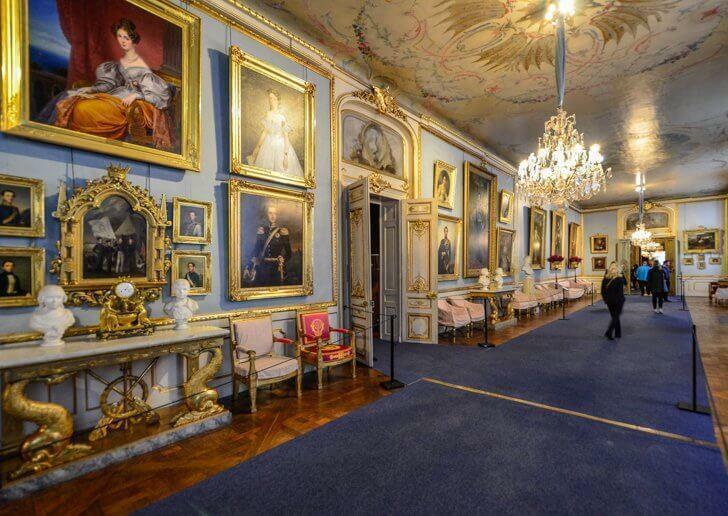 No trip to Stockholm should leave this little museum out of the itinerary. 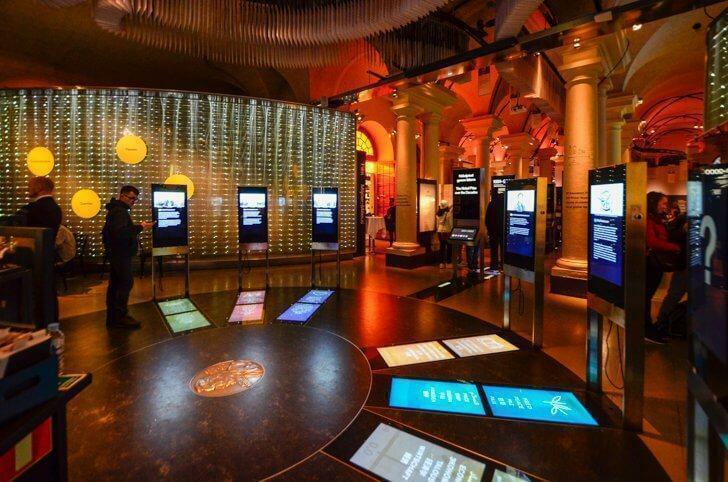 The museum is not large, but it is chock full of information displayed in both Swedish and English. The interactive points are multilingual. 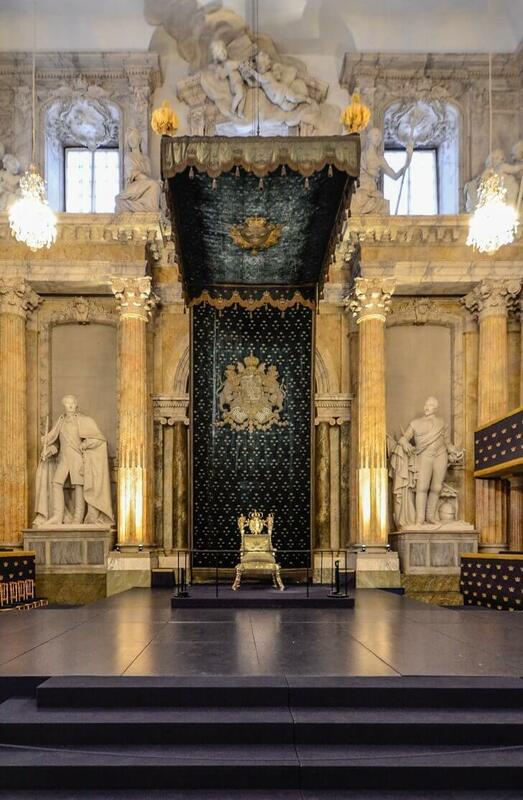 The entrance to the Nobel Museum is 120SEK or about $14. It was by far the busiest attraction of our entire trip. 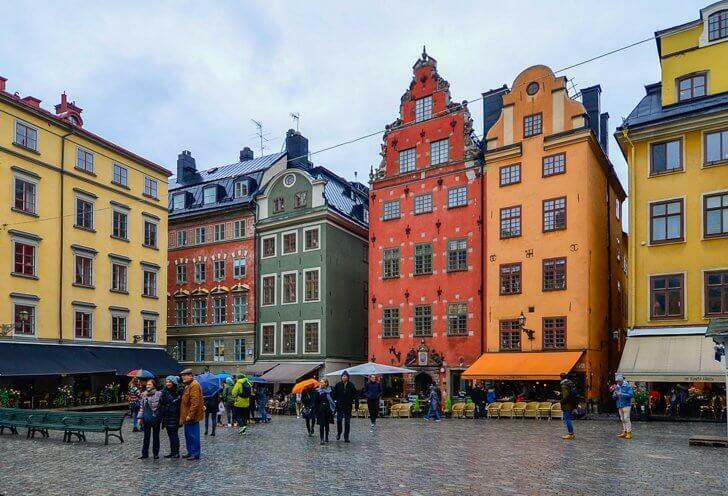 The fact it is in the well-loved Gamla Stan area, in Stortorget, the oldest square in Stockholm containing the iconic red and yellow buildings, might have had something to do with it too. This square is also renowned for its annual Christmas market offering traditional handicrafts and food. Stockholm’s City Hall was the biggest surprise of the trip. 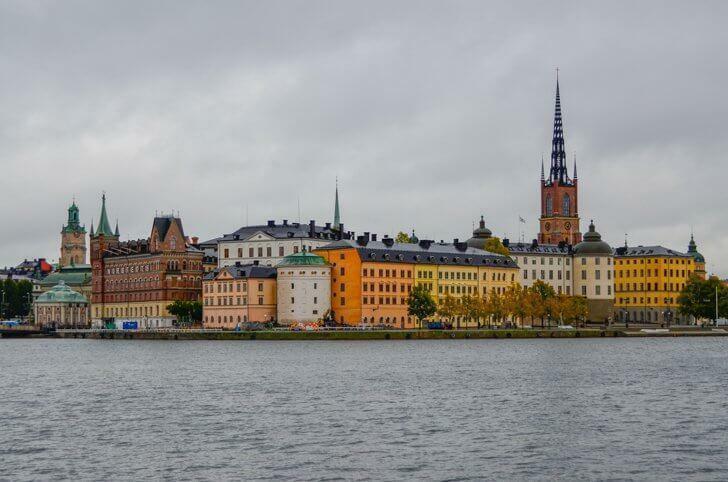 All I knew was its tower offers breathtaking views over Gamla Stan. Unfortunately, the tower is only open from May until October, a fact I found out at the door. Disappointed and already there, I decided to take the guided tour of the City Hall knowing I had done so in other cities and was pleasantly surprised by the history and decoration of their interiors. Little did I know that Stockholm’s City Hall would leave me speechless. The City Hall, designed by the architect Ragnar Östberg, is built from eight million bricks and is the site of the annual Nobel Banquet. The interior offers splendid assembly rooms and unique works of art. 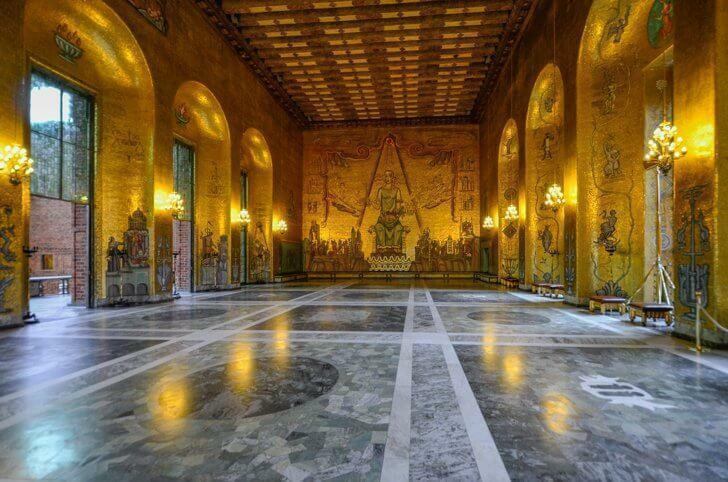 Here you’ll also be taken to the Council Chamber, the meeting place of Stockholm’s municipal council. Each room is more amazing than the next, but none compare to the Golden Hall, a massive interior made entirely of golden mosaics. 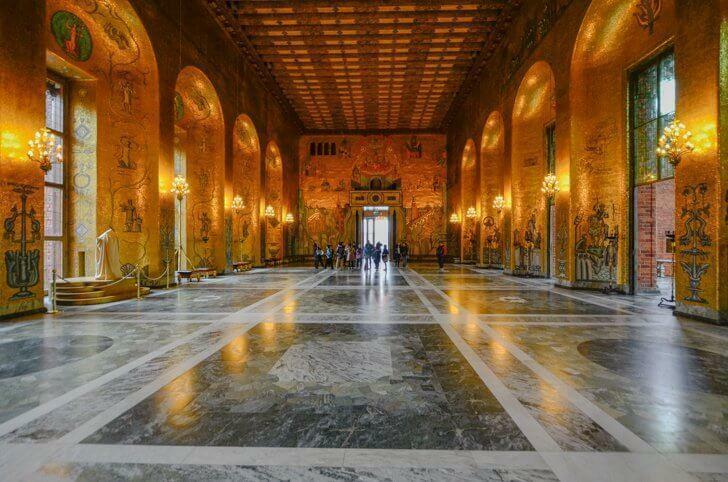 The feel of this magnificent space is Byzantine, but the stories revealed on the walls are allegories of events and people from Swedish history. If you ever visit Stockholm or Sweden in general, do not skip this enjoyable pastime. One thing I learned visiting Scandinavian countries is people take their breaks throughout the day very seriously. Fika, pronounced fee-ka, basically means to meet up for a coffee and a piece of cake or pastry. A fik is slang for a café, bakery or pastry shop. Sweden enjoys a highly-developed culture when it comes to baked goods, and everywhere in Stockholm, you’ll find cafés and cake shops brimming with atmosphere, character, and quality, whether traditional or contemporary and creative. What better time to enjoy fika than on a miserably rainy day? The bus from Arlanda airport is cheaper than the train and just a bit longer, mainly caused by traffic on the outskirts of the city, due to construction. You can buy 24h and 72h public transportation cards if you know you’ll use it heavily. We did and definitely got our money’s worth. There is free wifi in most of the city areas, cafes, shops, points of interest, malls etc. Stockholm is a very safe city to visit as a woman. My mom and I had no trouble staying outside late into the evening. I found Stockholm to be fresh and airy. The majority of people use public transportation, bikes, and electric mopeds to get around making the city eco-friendly and easy to walk around. The only thing missing was a little bit of sunshine. I’m hoping the weather gods will be more merciful next time.